The Jumpshare Blog - Page 3 of 11 - Re-imagining the way people upload, share and interact with their files. 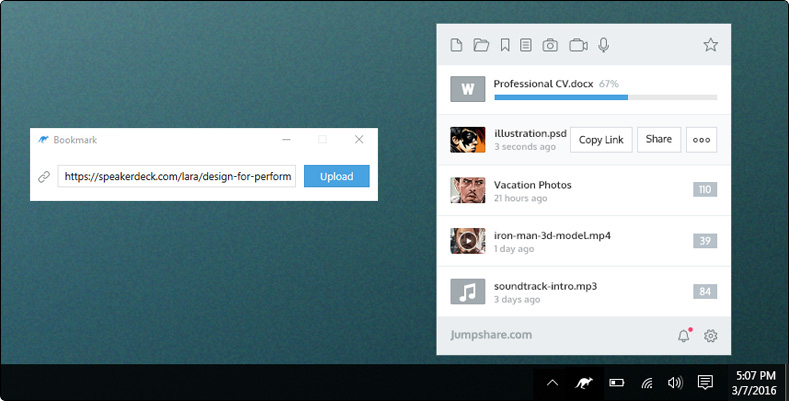 Windows makes up 80% of our user base, so today we’re excited to launch the next version of Jumpshare for Windows (version 2.0) – an incredibly fast, real time file sharing app. We designed Jumpshare to be an indispensable tool in your daily workflow, allowing you to share anything quickly from the desktop. It is the ultimate file sharing app! 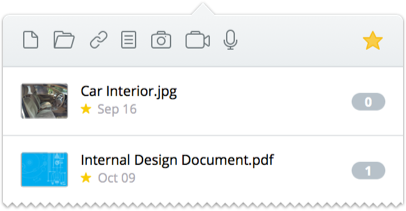 Drag & drop your files and folders to the Jumpshare system tray icon and instantly get a link copied to your clipboard, ready to be shared. If you’re looking for a more personal way to share files, you can send it directly via email from within the app. Capturing a screenshot and annotating over it is an effective way to help users, report bugs, and highlight important issues to team and clients. 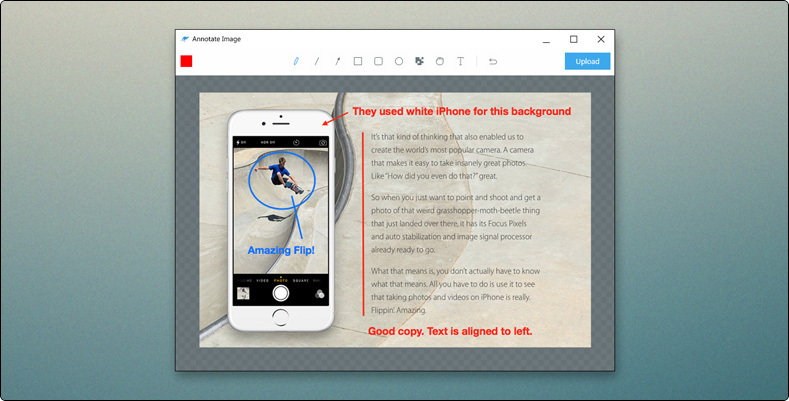 Jumpshare’s built-in image annotation tool now allows you to draw, add shapes, and write text on images and screenshots before sharing. Sometimes screenshots are not enough. You can now record screencasts to guide users and explain your point of view, complete with audio recording and click-tracking. 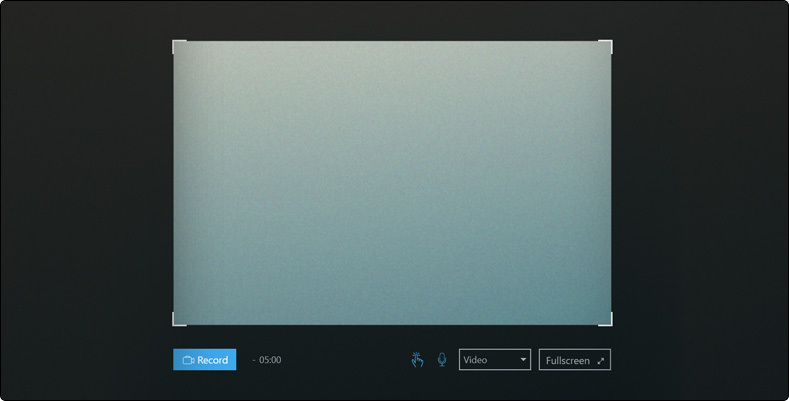 Screencasts can be recorded either in video format or GIF. You can choose to record a portion of the screen or the entire screen. Whether it’s visuals or text – we’ve got you covered! You can instantly share plain text, Markdown, or code using the built-in text editor with syntax highlighting. Our powerful file viewer supports over three dozen programming languages, so your developer friends will appreciate it when you share snippets of code using Jumpshare. Bookmark important websites, articles or funny cat videos you find online to view them later or to share them with friends and colleagues. The Bookmark tool also helps you upload files from 3rd party websites to your Jumpshare via a direct URL. The Jumpshare hotkey (Ctrl+Alt+J) is a magic keyboard shortcut that allows you to quickly share your work from your favorite apps. We support three apps for now: Photoshop, Chrome and Firefox. Just hit the Jumpshare hotkey in Photoshop to upload your work and share with clients to get feedback. Using the hotkey in Chrome and Firefox will Bookmark the URL and give you a shareable link. This is just the beginning of what Jumpshare can do. Record voice clips, check how many people have viewed your files, mark important files as favorites, share temporary links, get instant notifications when your files are viewed or downloaded, and do so much more – Jumpshare is the ultimate file sharing app! So what are you waiting for? Download it now for free! Thank you for choosing Jumpshare for sharing your files. Last year, our users uploaded and shared almost 5 million files, which were viewed and downloaded an amazing 11 million times altogether! We want to help you share your best work with your team and clients, so today, we’re releasing a document controls bar for the file viewer, with a new option to switch to fullscreen, or print the document, and the ability to view images in their original resolution without compression. 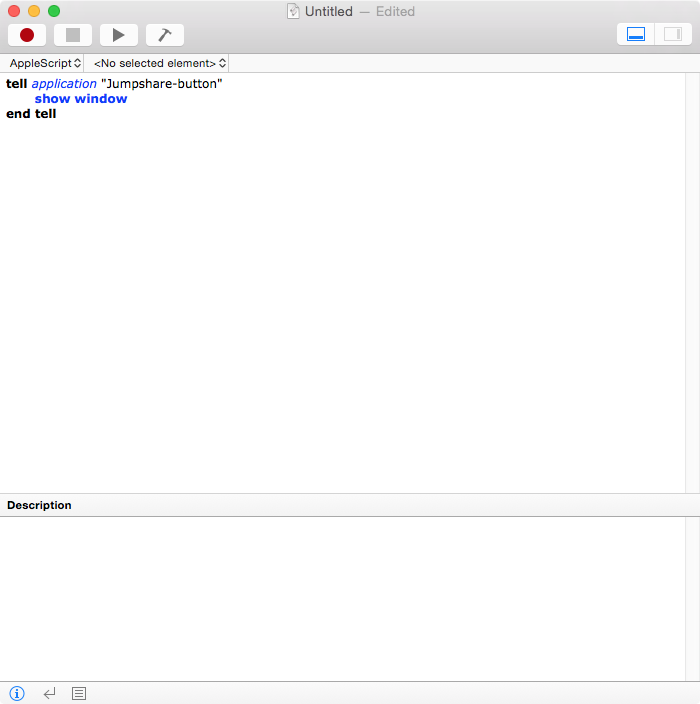 Last year, we introduced nested folders on the web, and launched an all-new, powerful Mac app. We continued adding useful features like Favorites, List view, flawless PDF output, Sketch integration, and voice clips recording.The success of our web and Mac apps have helped us grow immensely – both as a file sharing platform, and as a team. 2016 will be absolutely spectacular! Our iPhone app is just a few weeks away from launch. We are making final preparations as I write this blog post. Within the Jumpshare team, we’ve almost completely shifted to using this app since there’s little to no need to open the web app anymore. It’s that good! Once launched, the Android app will follow soon. A completely overhauled Windows app is right around the corner, too. 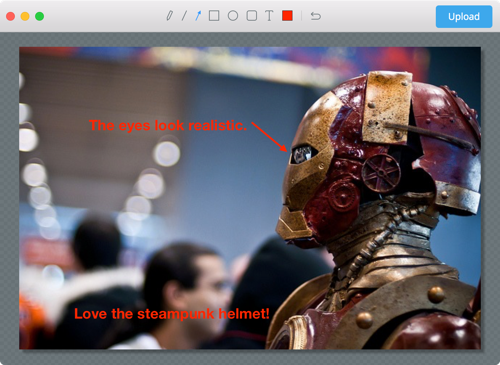 It meets the excellent standard set by our Mac app, and then effortlessly goes beyond it. Everything our users love about the Mac app – lightning fast uploads, nifty annotation, screen & voice recording tools, and general, rock-solid reliability – is there, plus other features we want to keep as a surprise for now. On top of launching these apps, we’re working on comments, and other features to help you take feedback and collaborate with your team and clients from anywhere! We have lots of exciting things planned for 2016, and can’t wait to unveil them over the coming months. We hope Jumpshare will play an important part in helping you achieve greater success. These are exciting times to be a Jumpshare user! Firstly: for a limited time, we are offering a steep 37% discount off Jumpshare Plus. This is the first time we’ve ever put Jumpshare Plus on sale! There’s incredible value to be found in this deal, especially since many powerful Plus-exclusive features are launching in the near future. Secondly: we are introducing two popularly demanded features: List view, and pixel-perfect PDF output. We’ve carefully engineered both to ensure they live up to Jumpshare’s high standards. We designed Jumpshare to be a visual stream of your files. The current thumbnail design gives you a great bird’s eye view of your work, but it isn’t for everyone. 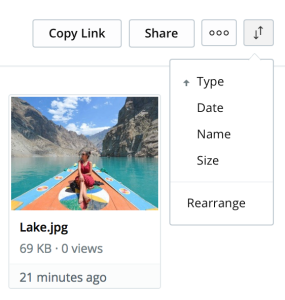 Power users who upload minor variations of the same file focus on the names first, and thumbnail previews second. Some users simply prefer list view over thumbnail view, since that is what they use generally. That’s why starting today, you can switch to List view to move through your files faster! List view puts filenames front and center so you can work faster as your files and their organization grows increasingly complex; compact previews are shown alongside so you can take a quick peek at your files. Simply visit your Settings page to switch to list view. 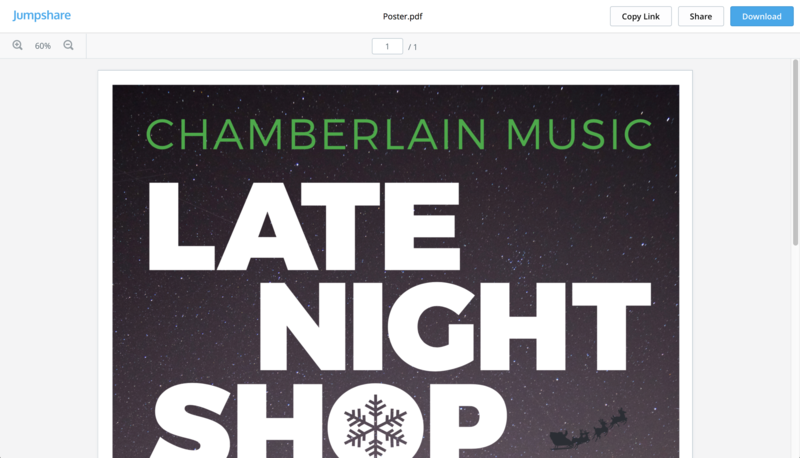 Thanks to a complete rewrite of our PDF conversion engine, PDF documents look downright incredible in our file viewer! Fonts look beautiful, images are razor-sharp and layouts are pixel-perfect. 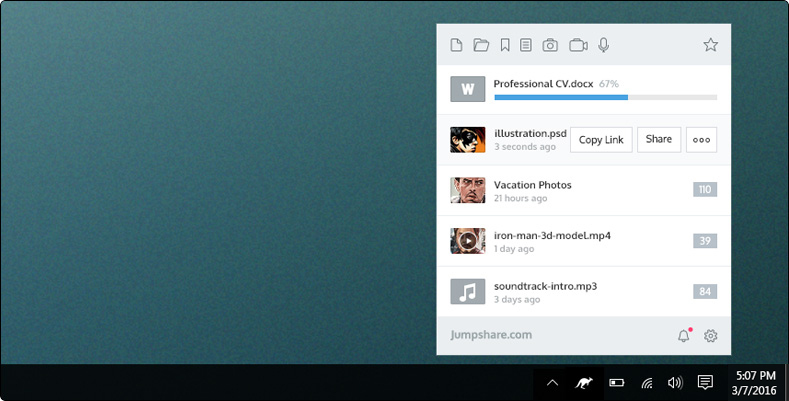 PDFs are one of the most regularly shared files on Jumpshare, so this will improve everyone’s file sharing experience. We make a slew of improvements and release new features every month. From today onwards, we will be publishing monthly blog posts detailing all the major and minor changes we’ve made to our product. After releasing our new Mac app, we are working towards launching powerful Windows and iPhone apps. Development is progressing at a fast clip, so expect them soon! Many of our users mark their important items as Favorites to access them quickly. At any given day, over a thousand items are marked as favorites. You can now quickly access your most important files from the new ‘Favorites’ tab in sidebar. Tip: To mark any item as favorite, right-click on it and select ‘Favorite’. We have updated the header to make space for sorting. Now you can quickly sort your items inside a folder from the “Sort” drop down menu. We’ve also replaced the More button with the popular ‘ooo’ icon that users recognize for contextual options. Custom branding is the most popular Jumpshare Plus feature, and we’ve made it even better! You can now upload high-resolution logos that look incredible on 2K and Retina displays. 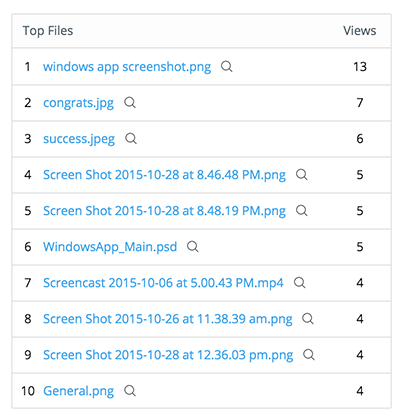 Analytics in Jumpshare Plus gives you comprehensive stats on how, where, and when your files are viewed or downloaded. We’ve made two improvements to Analytics to help you make informed decisions faster. You can now instantly preview top files by clicking on the magnifying glass icon , so you always know which file is popular for any given date range. Another improvement is when you hover over the file activity graph, you will see both views and downloads count in a single tooltip. It eliminates the need to move your mouse twice to view file activity for each day. Larger, more complex files can take a little more time to process before they can be previewed in our file viewer. 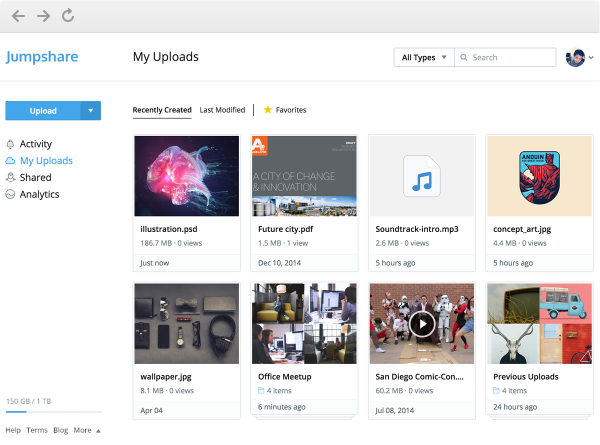 We’ve tweaked our design so the recipients you’ve shared files with can download them immediately after upload completes without having to wait for the processing to finish. Jumpshare for Mac 2.1.1 comes with support with AppleScript, allowing you to use our capable app for handling file-sharing tasks in your automation scripts. The app also comes with utilities for taking and annotating screenshots, screencasts, recording voice clips, and saving bookmarks. They are all available for use in your scripts. 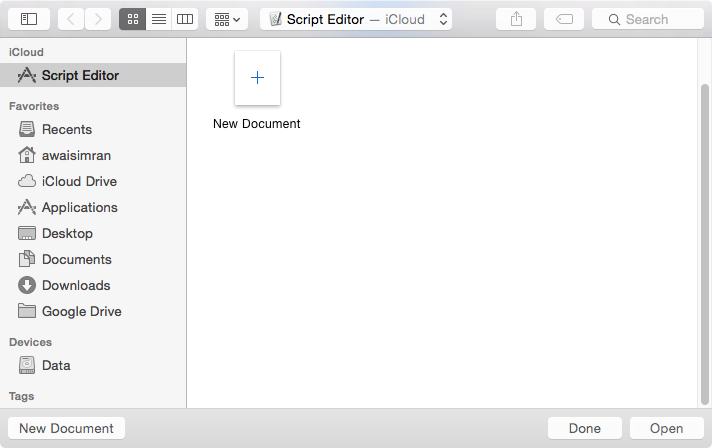 In this blog post, we will show you how to start using Jumpshare in your AppleScripts. Assuming you have downloaded and are using Jumpshare for Mac (if not, download from Mac App Store), open Script Editor on your Mac. Do not copy-paste the above-written script; type it out instead. If you copy-paste it, you may see syntax errors. Click on the Compile button (it looks like a hammer). If your script is correct, it will compile properly. 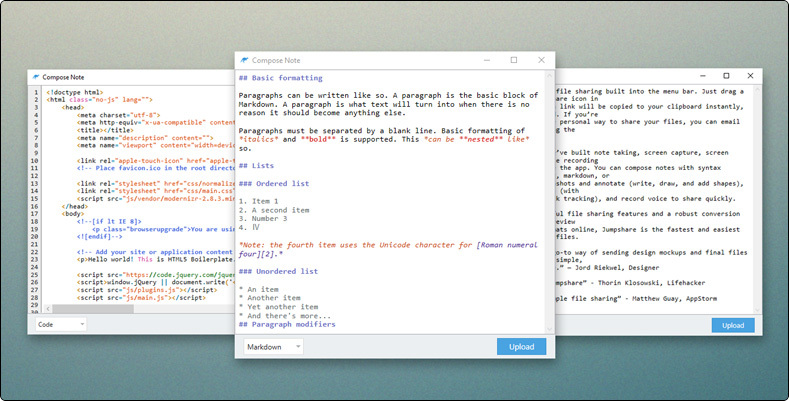 Script Editor will change your script’s typeface to show it has compiled successfully. Now click on the Play icon to execute the script! 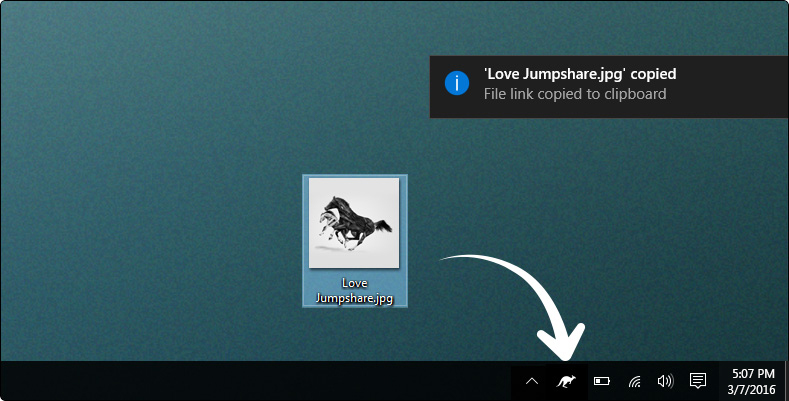 If it worked correctly, the Jumpshare app will show its window. 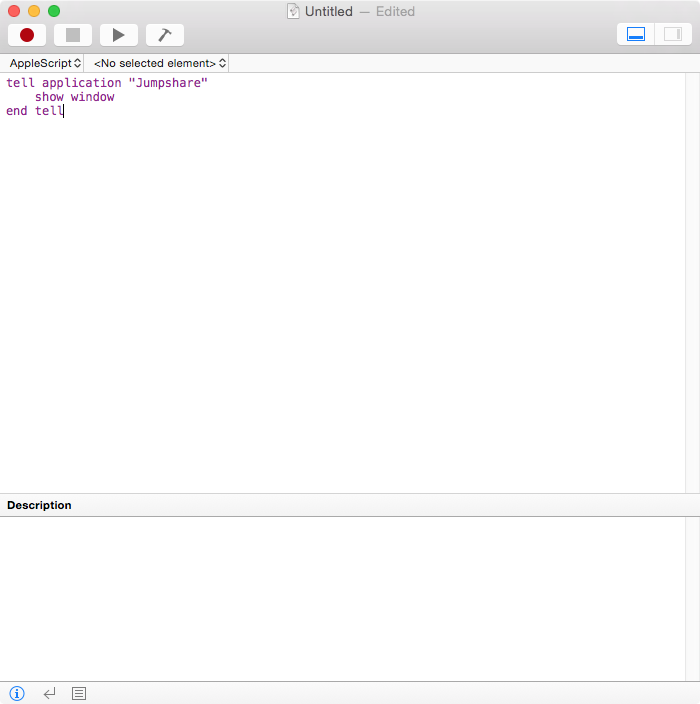 Jumpshare for Mac allows nine different scripting commands using AppleScript. We’ve listed them below, along with how to use them. Upload a file or directory using ‘upload <filepath>‘ e.g. Use these in a number of different combinations with your existing AppleScripts to make your workflows even more powerful. If you have any more suggestions for AppleScript scripting commands, please let us know in the comments section, or by emailing us at hello@jumpshare.com. Happy scripting!